Eurocom launches an unlocked BIOS option in the 15.6” Tornado F5 high-performance, fully upgradeable laptop giving customer’s complete control over their system that supports NVIDIA GeForce GTX 1080 graphics, Intel Core i7-7700K processor, 64 GB DDR4 memory and up to 8 TB of solid-state storage. The EUROCOM Tornado F5 utilizes a highly advanced thermal solution that enables it to support a desktop Intel Core i7-7700K processor, NVIDIA GeForce GTX 1080 graphics while allowing for further overclocking of the components without overheating. The heavy-duty copper heatsinks and dual fan design create a perfect environment for high performance overclocking and supercomputing. Customers can choose to have the unlocked BIOS when configuring their new laptop. The unlocked BIOS in the EUROCOM Tornado F5 will be offered for free until the middle of April. The optional unlocked BIOS gives users access to all of the settings necessary to overclock the CPU, adjust memory timings, and the ability to choose between UEFI or Legacy mode among other features. Eurocom believes our customers should be free to choose the exact laptop and components they want. We want to take that a step further by giving our customers the ability to control their laptop with an unlocked BIOS. Heavy-duty cooling enables it to support high-performance components that are also overclockable. “We are turning the entire industry upside down by unlocking our flagship product, the EUROCOM Tornado F5, the world's most powerful 15.6" laptop ever. We are making laptop history by providing more power to the people so they can overclock and push the current limits of their hardware. We are democratizing power by unlocking the BIOS and allowing people to overclock and have complete control over their laptop,” said Mark Bialic, Eurocom President. The EUROCOM Tornado F5 is equipped to take full advantage of the overclock-ability of the desktop Kaby Lake processors due to their high-quality copper heatsinks, high-speed fans, and use of Innovation Cooling Diamond 24 carat diamond thermal compound to manage the temperature of the desktop processor. Achieve unsurpassed performance by gaining control over the finest details of the CPU, memory, and GPU. “Having access to all of the settings necessary to overclock the CPU, adjust memory timings, and the ability to decide on something as ridiculously simple as the ability to choose between UEFI or Legacy mode—things most of us used to take for granted — is a really big deal. All of these user controls and configuration options should be a basic right of ownership, but their absence is a massive failure that the industry should be ashamed of. The Tornado F5 is a superior product at a hardware level, and with the unlocked BIOS it can actually perform like a superior product. Kudos to Eurocom righting these wrongs and having the boldness to do the right thing for their customers” stated Brenner Fox, Technology Tester, Reviewer and Overclocker. 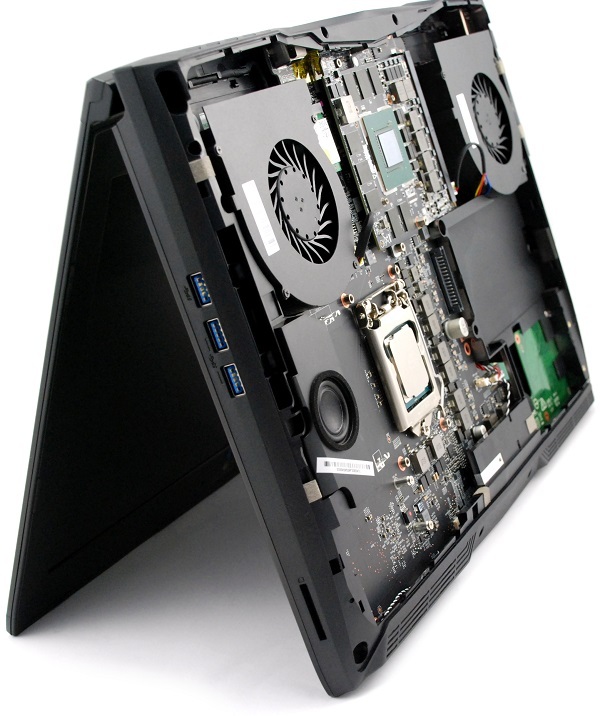 The EUROCOM Tornado F5 is one of the few laptops with a Z170 chipset, LGA 1151 CPU socket, and MXM 3.0 graphics slot for a wide range of customization options. Two M.2 SSD PCIe x2/x4 or SATA SSD and one 9.5mm SATA3 6 Gb/s storage drive are also supported to offer a great combination of capacity and speed. Four memory slots are available to support up to 64 GB of DDR4 SODIMM. Customers have a 15.6” FHD matte display and a 4K matte display to choose from as well. Eurocom is the leading developer of long lifespan, fully upgradeable laptops, as well as, high-performance mobile workstations and servers since 1989. Eurocom prides itself as an Industry leader in providing ground-breaking technology and continues to engineer innovative solutions that inspire individuals and companies to new growth and development. For more information on Eurocom, visit us at www.eurocom.com.